Imagine playing Guitar Hero, except with any song in your iPod's library. 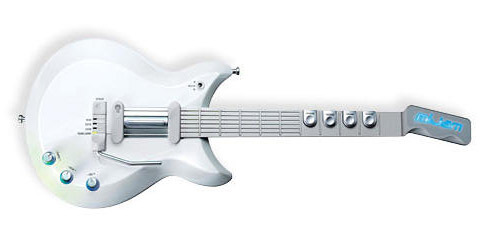 This four fingered "guitar" from MiJam lets you play basic cords and riffs by strumming the bar and fiddling with the whammy. Fun for kids and people too lazy to learn how to play the guitar, but are too proud to still be doing air guitar.